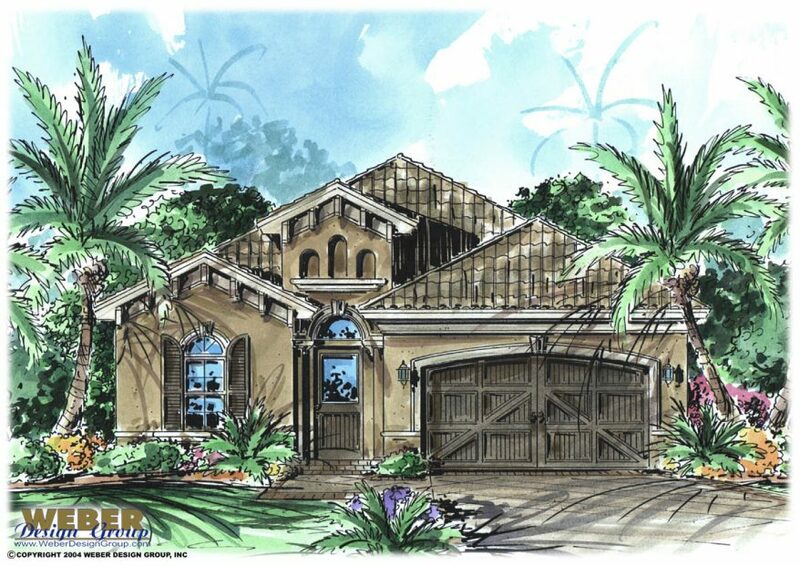 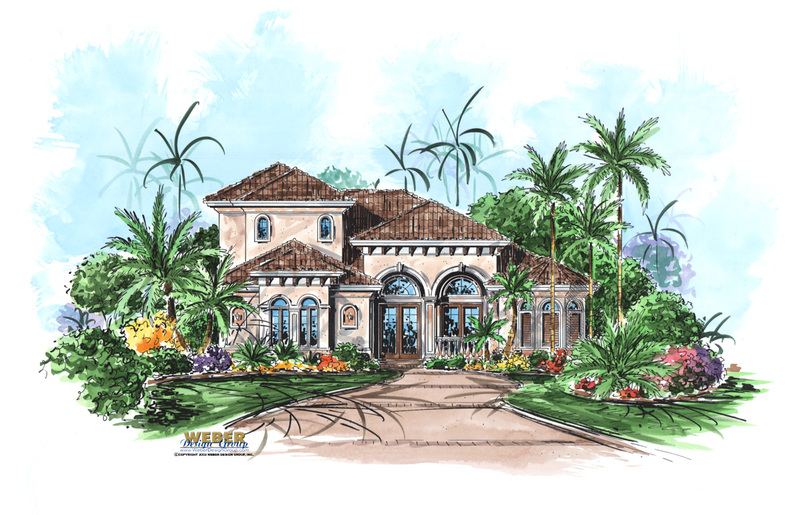 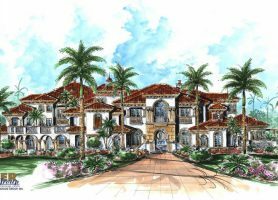 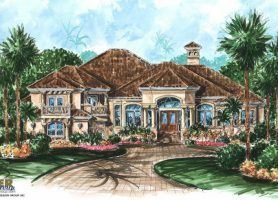 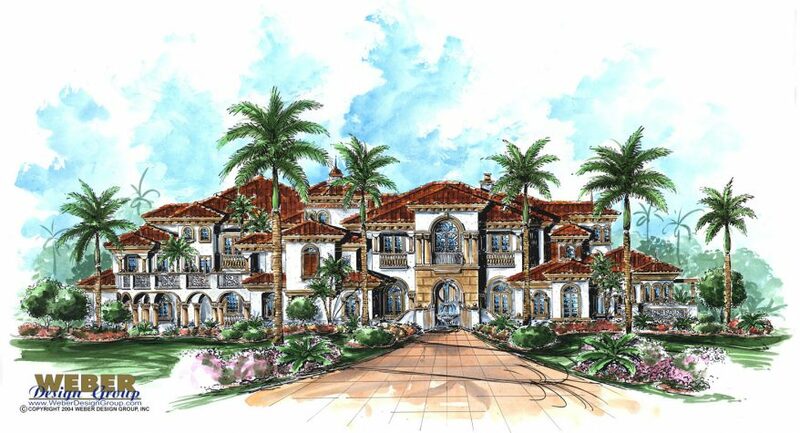 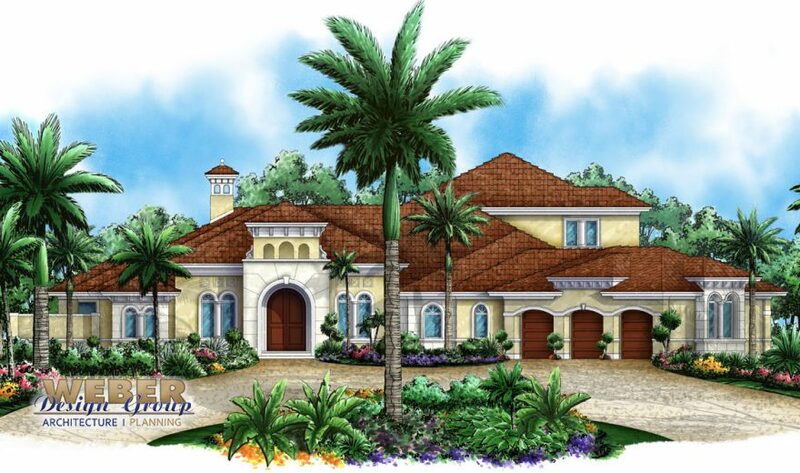 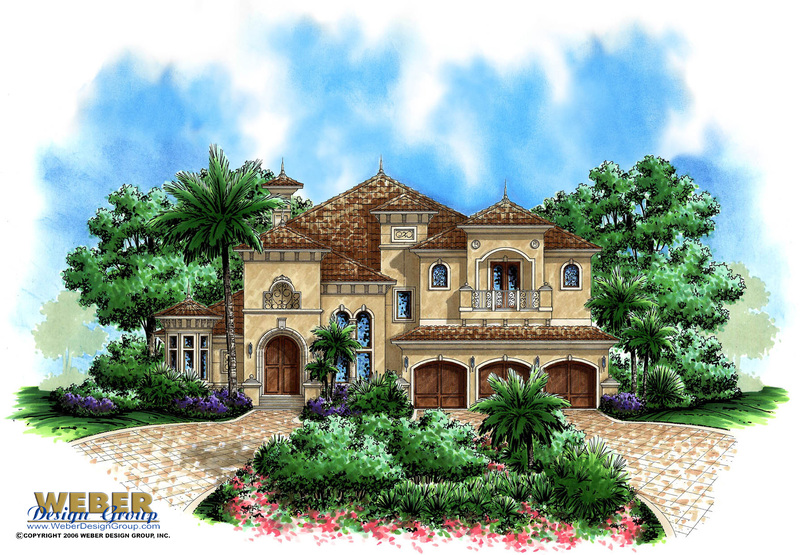 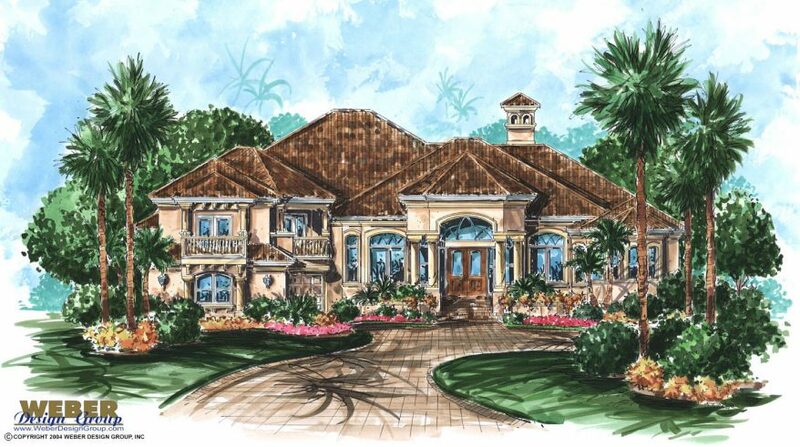 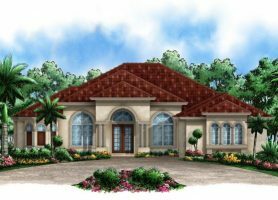 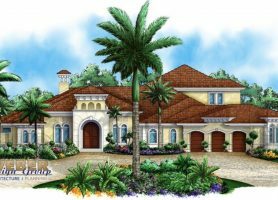 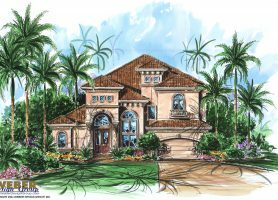 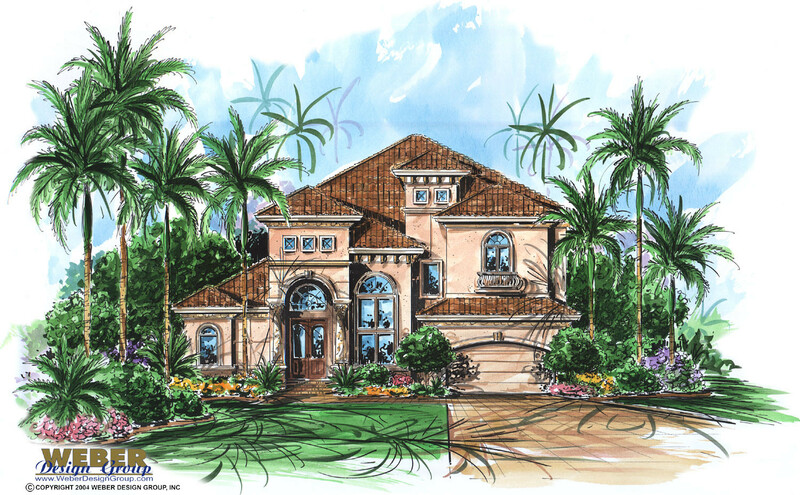 The distinctive architectural characteristics of our luxury Mediterranean house plans emulate designs traditionally found in Mediterranean countries such as Spain, France, and Italy. 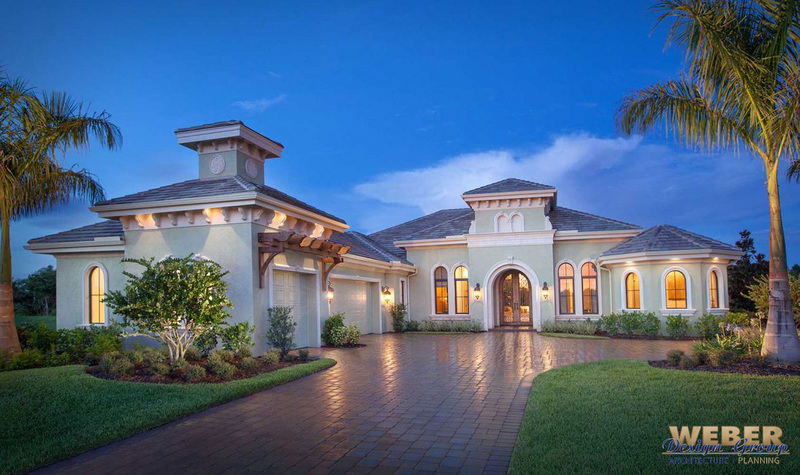 This style typically features low-pitched tile or terra cotta tile roofs, stucco finishes and arched windows. 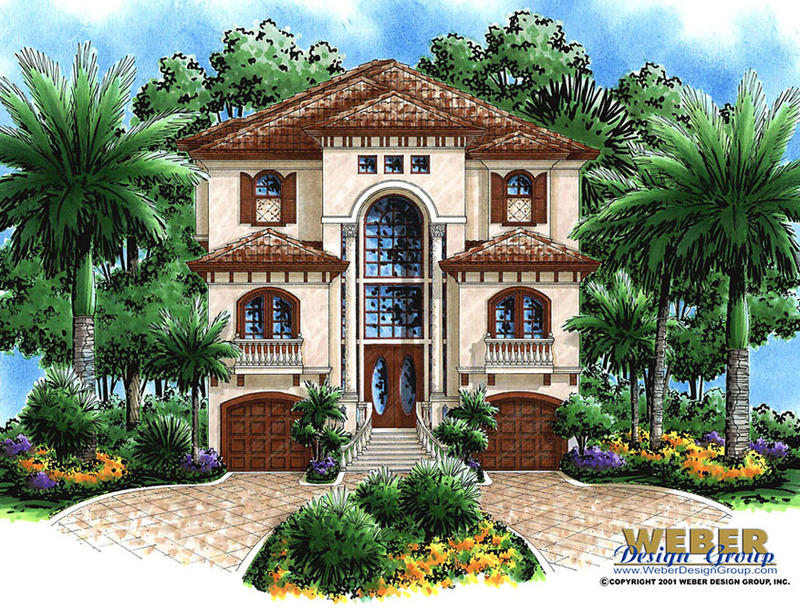 Exquisite balconies and decorative wrought iron are also commonly used throughout the home design. 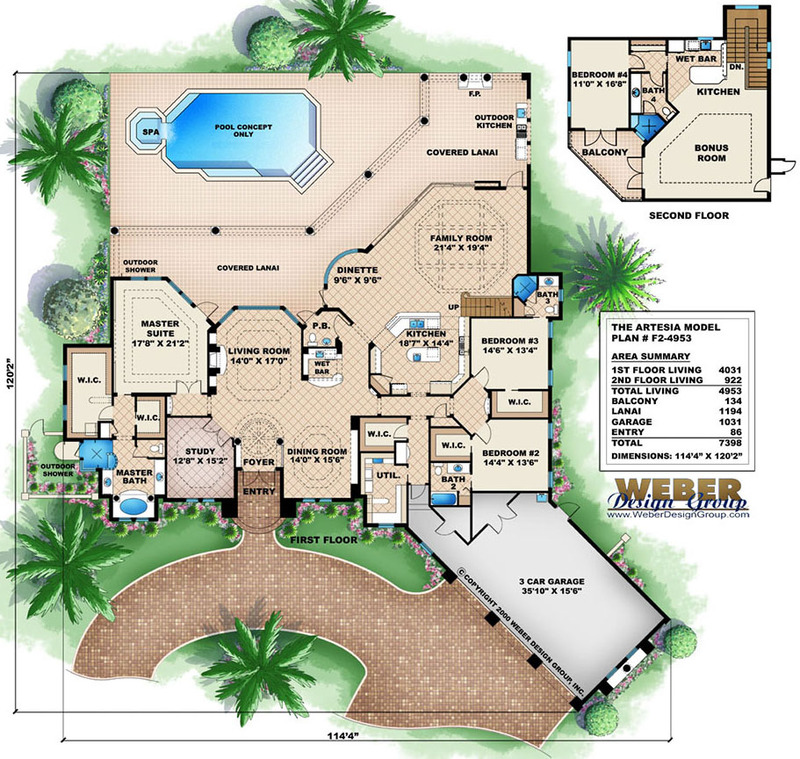 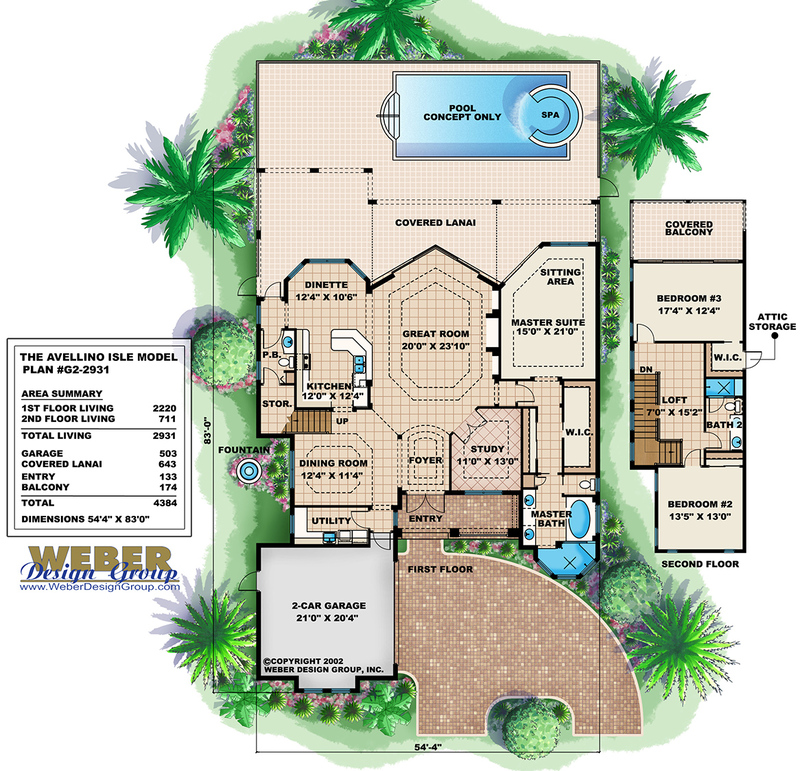 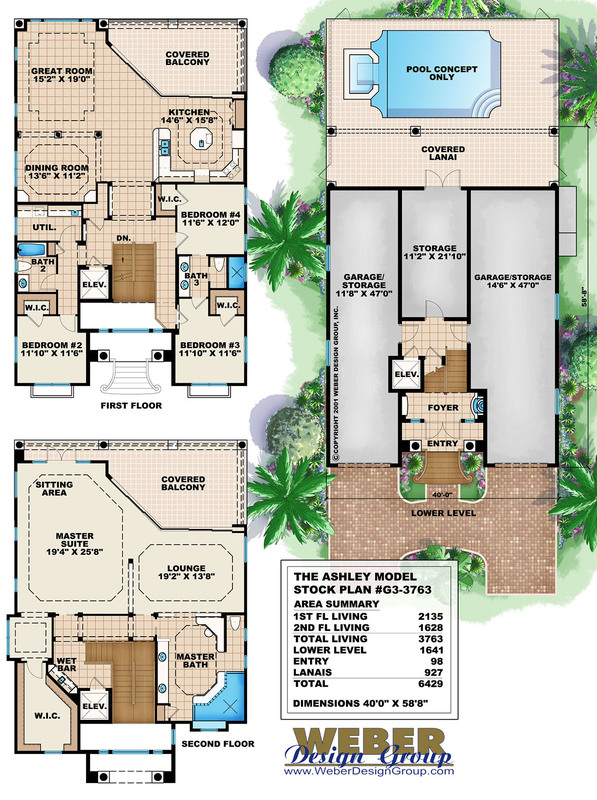 Contemporary Mediterranean home floor plans can offer flowing transitions between luxurious interior rooms that often open up to outdoor living areas like central courtyards, covered lanais, and pool decks making them a popular style in California coastal and Florida beach areas. 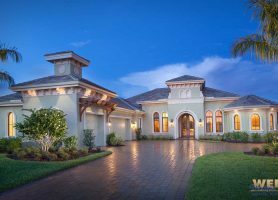 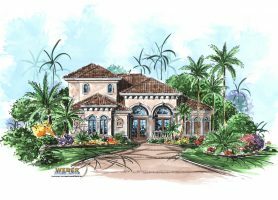 Our collection of Mediterranean house plans range in living area from a modest 1,800 square foot waterfront homes for oddly sized lots to well over 10,000 square foot luxury mansions. 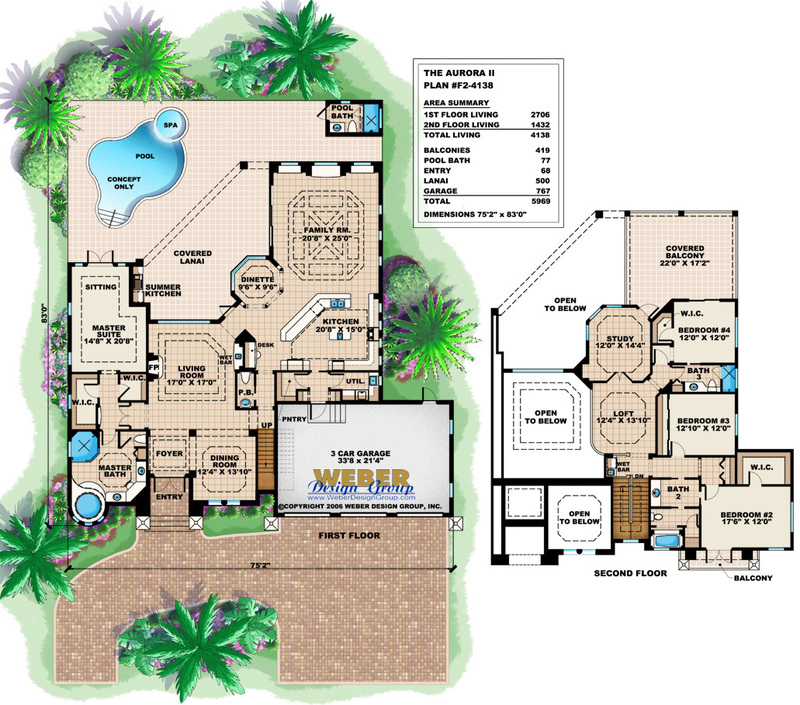 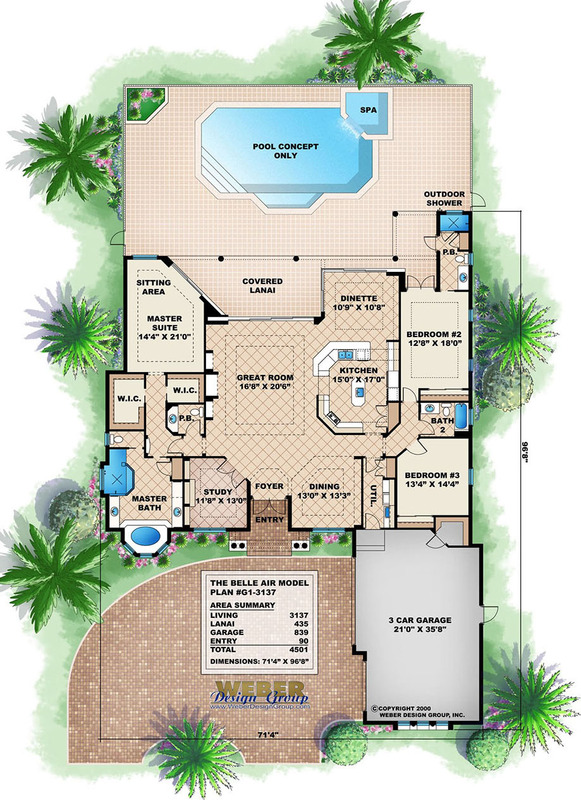 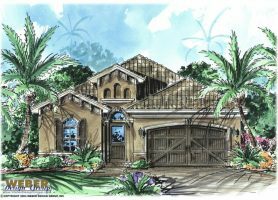 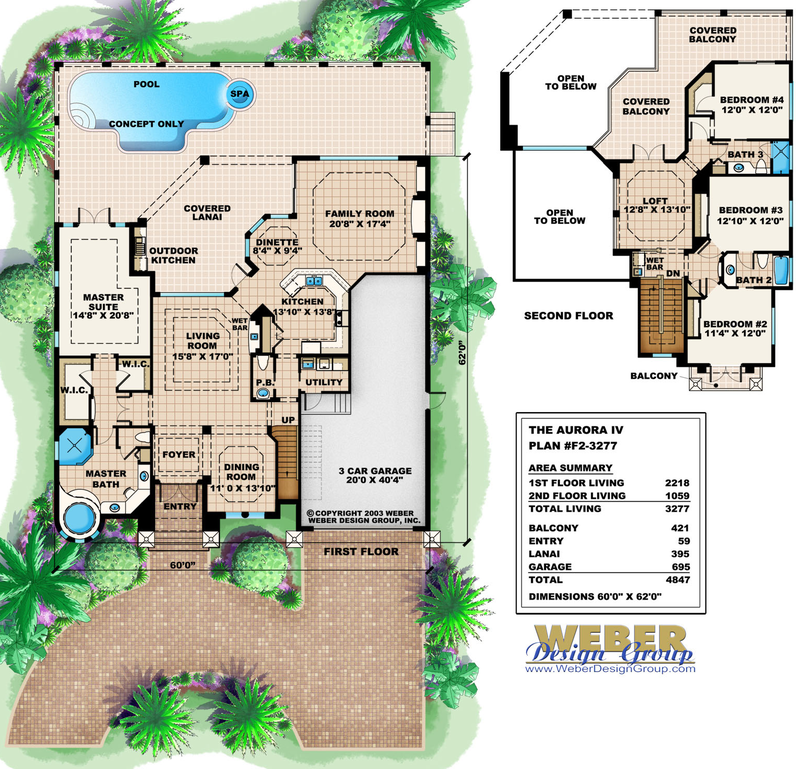 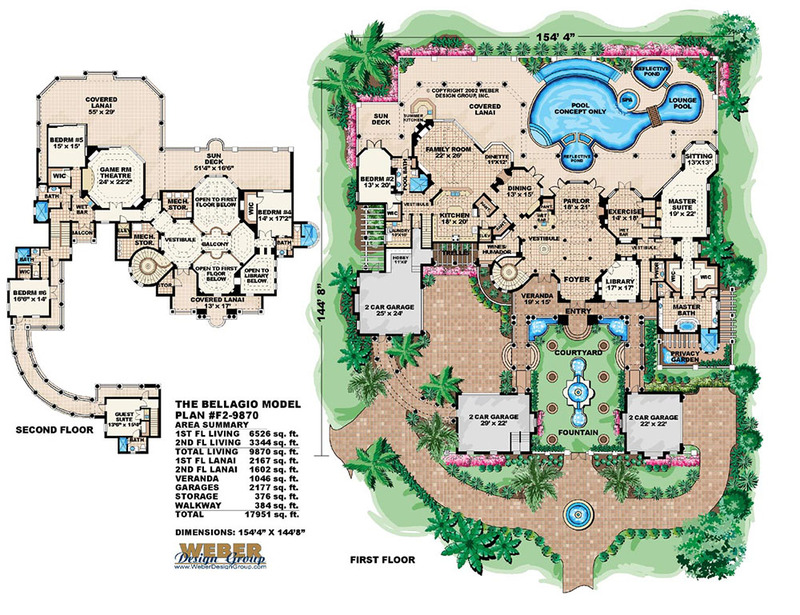 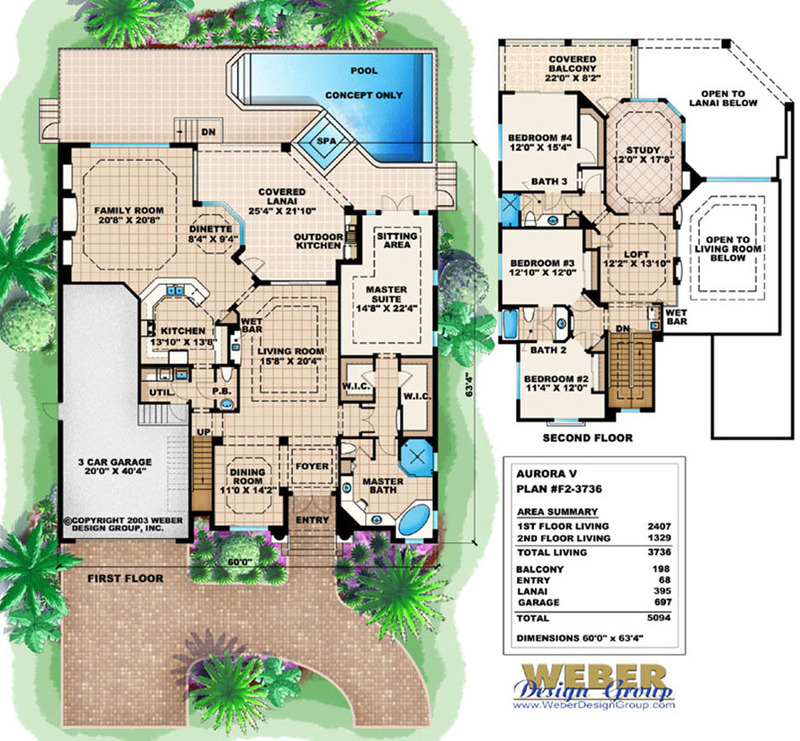 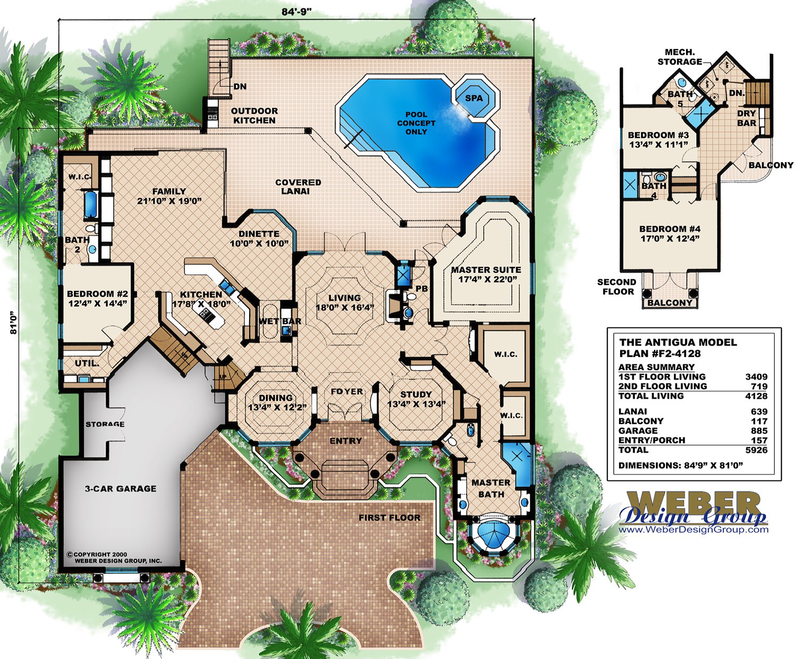 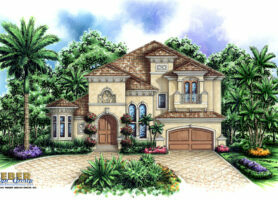 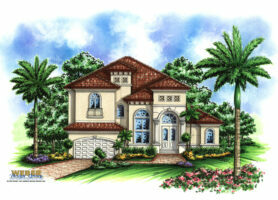 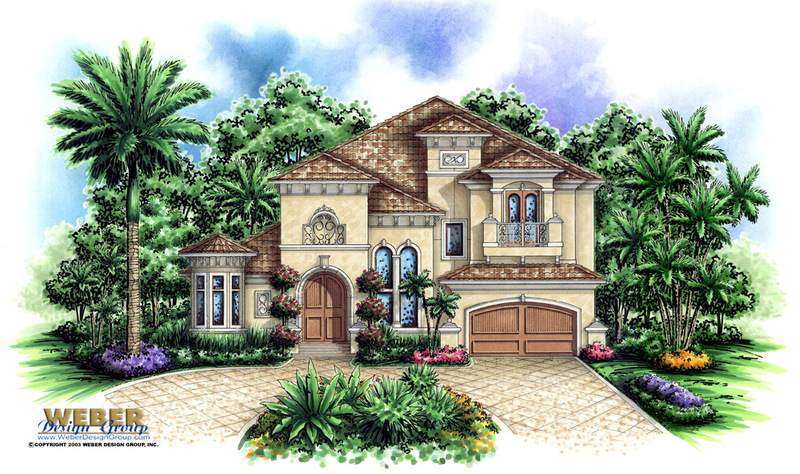 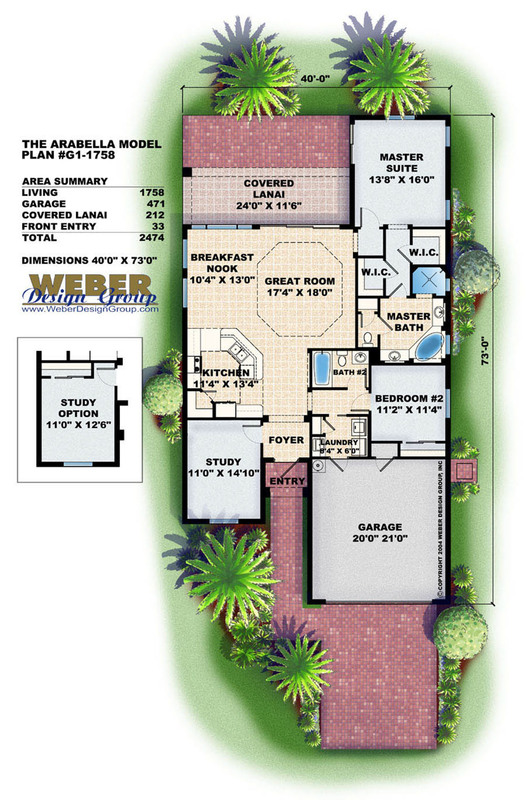 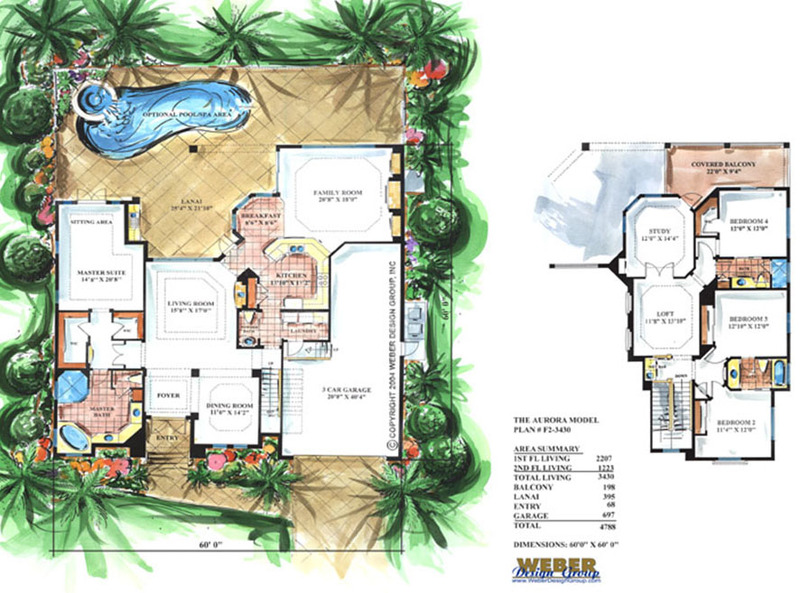 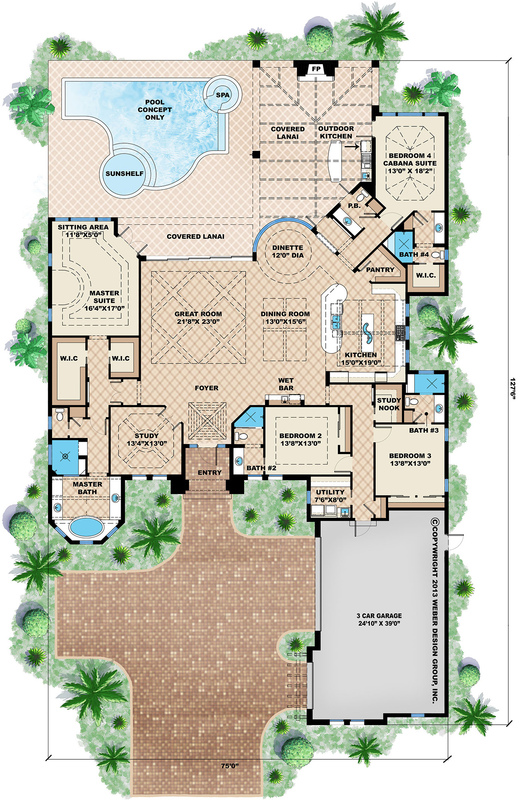 The more grand Mediterranean style house plans are tremendously well appointed with the finest of details.